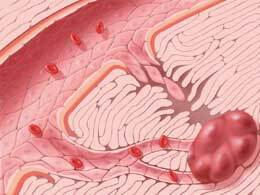 Anti-Cancer Angiogenesis - (the process of generating new capillary blood vessels) Is required for many physiological and pathological events including: healing, reproduction, embryonic development, and tumor growth, invasion and metastasis. 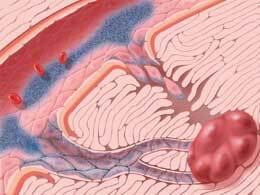 Under normal homeostatic conditions, regulation of angiogenesis is kept in check by a balance of several pro-angiogenic and anti-angiogenic factors. The process is also implicated in many disease conditions. Malignant cells in microscopic tumors respond to local hypoxia by producing VEGF and initiating angiogenesis. Other angiogenic factors, like bFGF and Angiopoietin-2, are secreted by inflammatory cells that travel to these microscopic tumors. 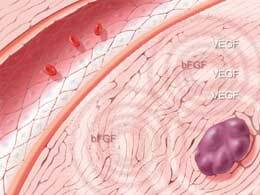 VEGF, bFGF (basic fibroblast growth factor) and Angiopoietin-2 initiate the proliferation and migration of endothelial cells to form primitive tubes that become new blood vessels and feed tumor growth. 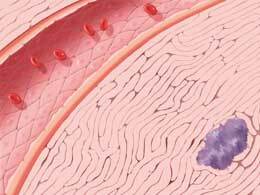 Anti-angiogenic agents like CHML work directly to inhibit the function of endothelial cells that are forming new blood vessels. Specific receptors on these endothelial cells recognize the chemical signal of CHML to induce cell death. 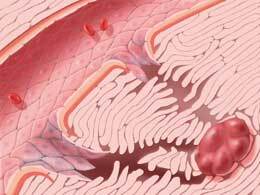 The newly formed vasculature that carries nutrients to the tumor is then destroyed. An absence of blood vessels and thus an absence of nutrients causes tumor cell death. Supporting GLORY's drug discovery program, is a sophisticated new technology for drug administration. Arterial Infusion using DSA*, is a fast developing science performed by trained Interventional Radiologists. Formerly used in the management of Cardiology related conditions, the technology is capable of delivering concentrated drugs to a highly specific site (e.g. tumor) via the arterial network. DSA is capable of delivering concurrent imaging of the intricate vasculature of the tumoral network. This is used to guide the delivery of CHML, as well as measure the immediate effects on the tumors blood supply network. In recent studies, CHML was able to effect significant disruptions to the tumoral vasculature network in a number of various malignancies. In virtually every case, marked destruction of the tumor's feeding system could be observed in less than 30 minutes. 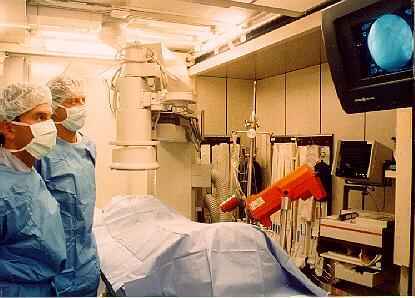 This information further corroborates CHML's ability to penetrate a number of difficult tumors.